Most country did not allowed compulsory sterilization, forcing woman to undergo surgical sterilization. In California, Doctors working in the California Department of Corrections and Rehabilitation allegedly sterilized at least 148 female inmates without approval, according to report by Epoch Times site. 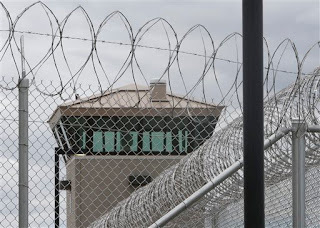 According to Center for Investigative Reporting, "At least 148 women received tubal ligations in violation of prison rules during those five years – and there are perhaps 100 more dating back to the late 1990s." One of the former inmate said, "I was like, ‘Oh my God, that’s not right," Crystal Nguyen added, "Do they think they’re animals, and they don’t want them to breed anymore?." Another inmate said, "As soon as he found out that I had five kids, he suggested that I look into getting it done. The closer I got to my due date, the more he talked about it," Christina Cordero added, "He made me feel like a bad mother if I didn’t do it." From 1997 to 2010, state database shows that California paid at $147,460 to carry out the procedure. Comments or suggestions about "Californian Female Inmates Sterilized Without Approval" is important to us, you may share it by using the comment box below.